Double your fashion flair when you wear this white striped top. 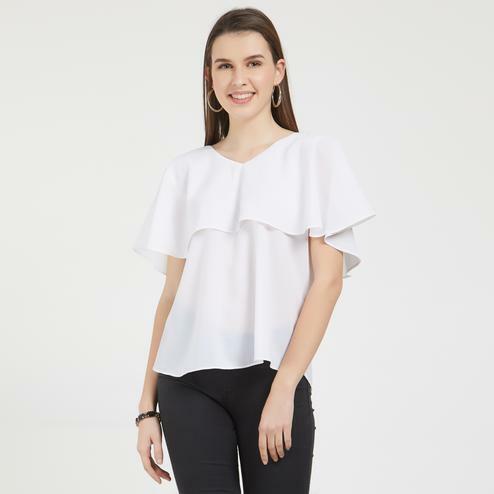 Made from georgette this regular fit top will keep you comfortable all day. Team it with black coloured shorts for a sassy look.